Enter for a chance to win one of 2 gift sets! Summer has officially started! Here are 4 delicious rosé wines you can find in grocery stores + a contest you can enter to get a chance to win a gift set including one bottle of rosé randomly selected between the 4 and a wine chilling rod, perfect to keep you bottle chill while you enjoy every sip of that rosé by the pool! 2 winners will be randomly selected on July 21th. Good luck! 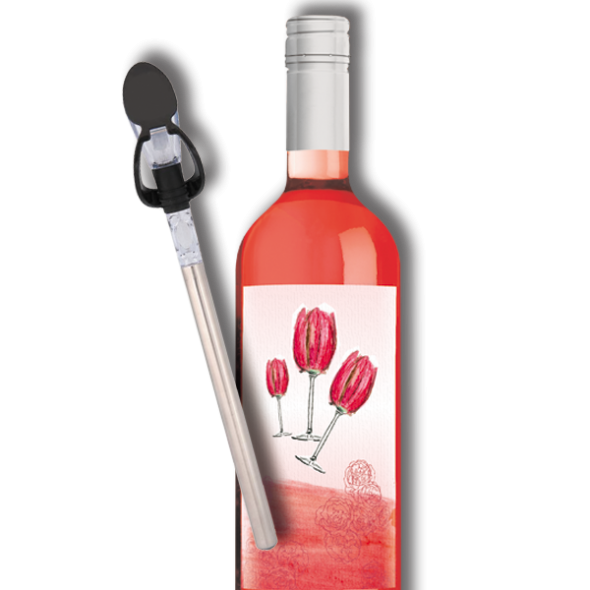 Our first stop is in Australia with SMOKY BAY, a rosé with strawberry and cherry aromas. Light, fruity and slightly spiced, it offers a beautiful, harmonious finish. It will pair nicely with grilled chicken dishes. Our neighbors south of the border also offer a rosé perfect to fight the heat waves : NIGHT SHIFT is a gem of a wine with a beautiful raspberry dress and red berries aromas. A charming wine made to impress your guests during your 5 a 7! Serve it with poultry, salads or appetizers. TORO LOCO is the most popular Spanish wine in Quebec! With his red berries aromas and elegant finish, this rosé is perfect as an aperitive and will also pair nicely with poultry and fish. We conclude this little tour du monde with a french rosé, L'ESCALE. Light and very fresh, it is at its best with a summer salad or a nice grilled salmon.